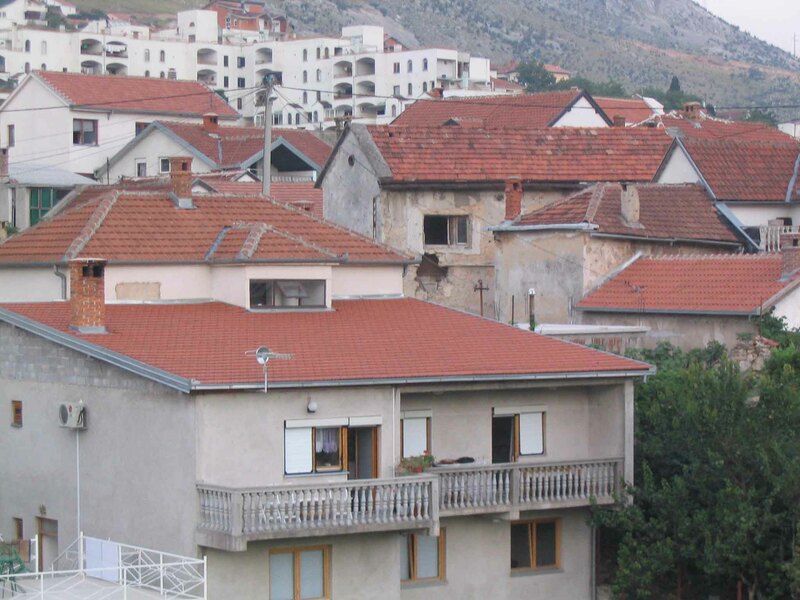 I’ve been reticent to write much about Mostar in the past, because well, I don’t have a lot of strong memories about the place really and I don’t feel I saw that much. 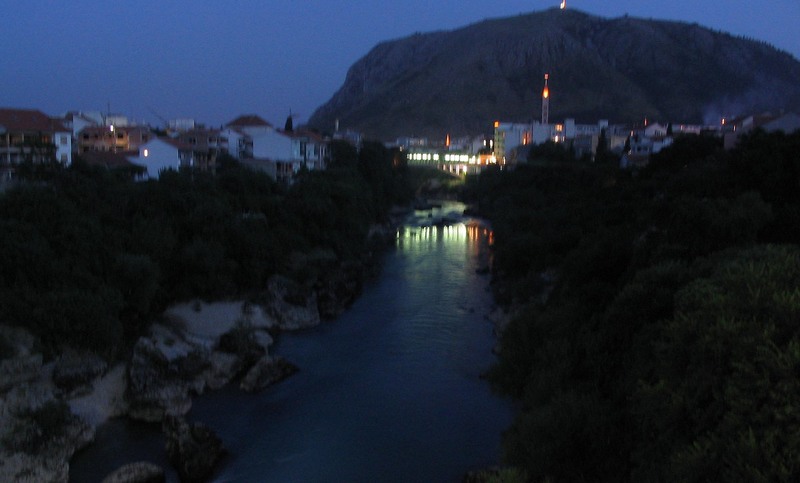 But it was certainly interesting enough to warrant a post, and I was thinking about what I was going to write about this week, and Mostar came to my mind. My biggest memory was of the heat. It was 14 years ago now, but I distinctly remember the 40 degree days were really something. The city as over 100,000 people living in it, and it’s a very curious place. It’s probably a lot better suited today for tourists – I say this mostly because in 2004 there was a lot of construction going on, parts of town being restored and upgraded for tourists they expected to soon come flooding in. The area with the most work going on led up to the main landmark of Mostar, ‘Stari Most’ (which I’m pretty sure means simply ‘Old Bridge’). In 2004 the bridge was being completed. The original bridge was built on the site back in 1566, but there have been a number of bridges in that spot. The Nevretna River flows under it, but in times of … well you know, lots of rain, the river has risen so high as to take the bridge with it. And then of course, in the conflict of the 1990s, it was a casualty then as well. So the bridge has been rebuilt again as a reason for people to come to Mostar, I guess. I stayed in a home stay. I kinda miss the days of getting off a bus and being approached by someone to see if you needed a place to stay, that’s what happened here. I stayed with another traveller (possibly two) in a house with a balcony very close to the bus station – great when you’ve arrived from many hours in a bus to 40 degree weather! The family was very kind and looked after us with meals as well (possibly had to pay for them). 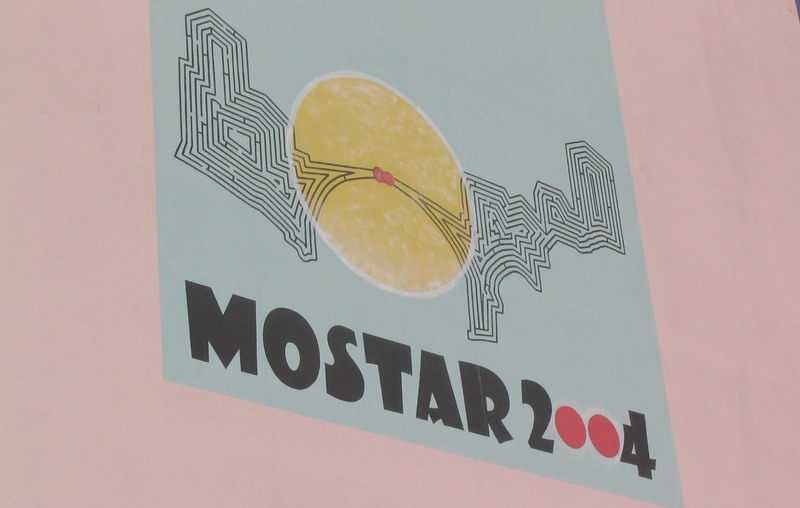 I wonder if people coming to Mostar in 2018 still receive such a greeting. The town is a little hilly with many streets parallel to the river. 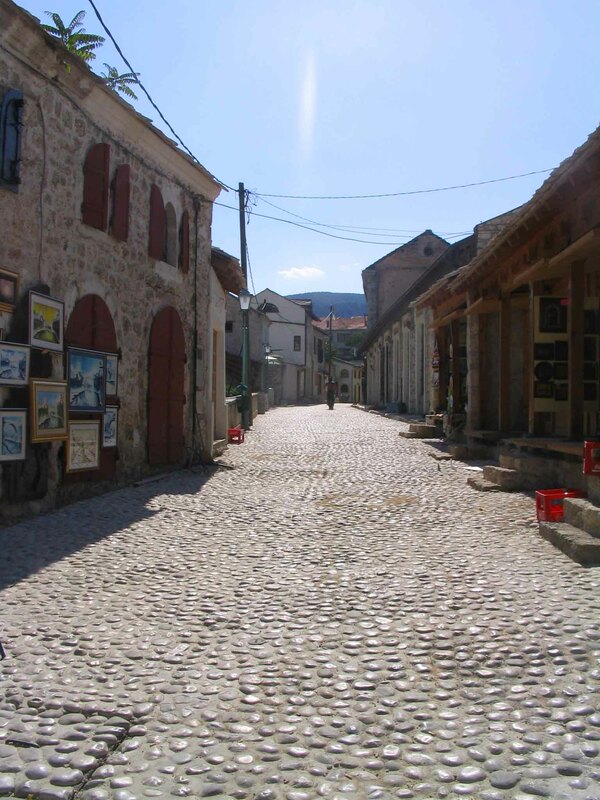 There are different bus stations for different destinations, for example I did a couple of day trips, one to Medjugorje in the Croatian part of Bosnia, and that left from the Croatian part of town. 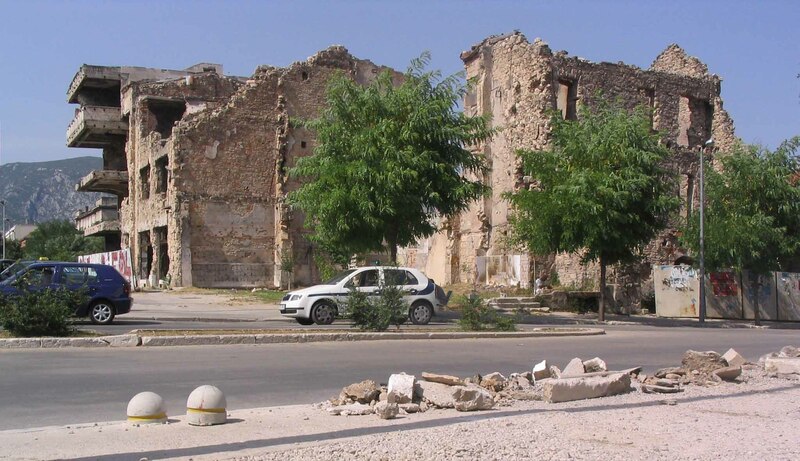 This area, in 2004, was in stark contrast to the Bosnian parts which seemed to have funds coming in to restore them. 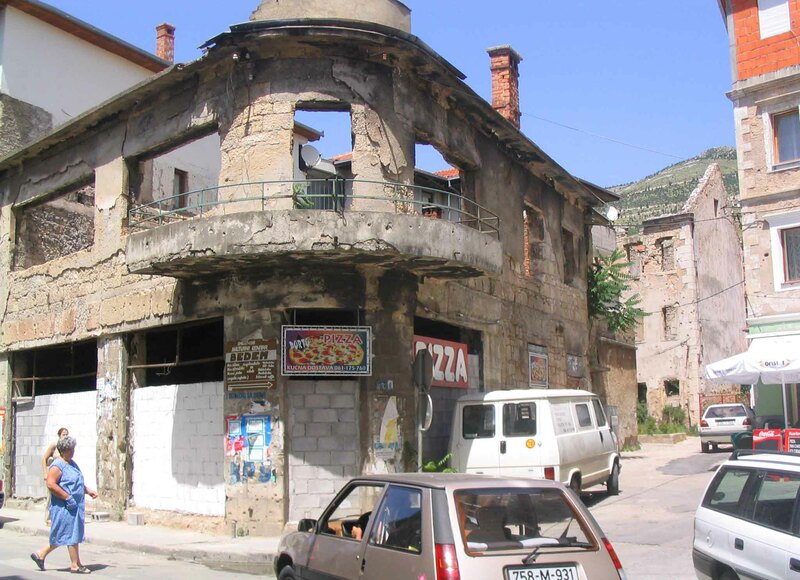 This part of town had many damaged buildings with no sign of repair, and was a little like a ghost town. 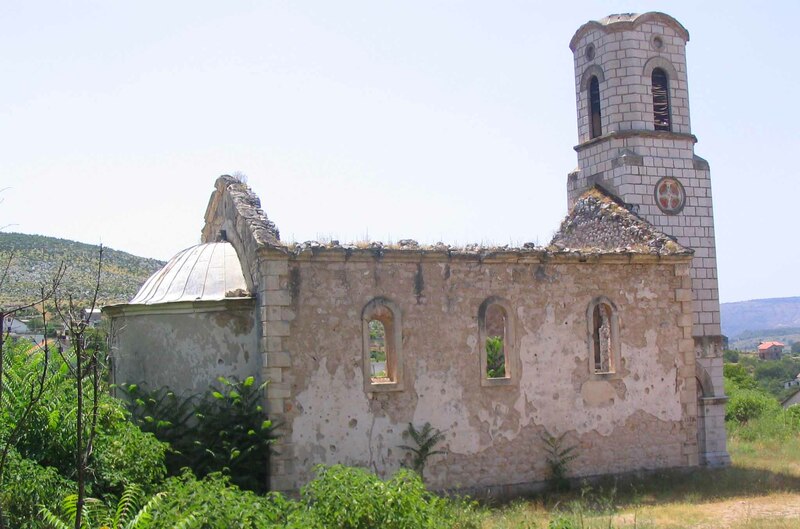 Speaking of day trips, the one to Medjugorje is quite the interesting way to spend a day. The site where a group of teenagers reported to see the Virgin Mary on a hill back in the early 1980s. Even in 2004 it was a bigtime tourist (religious tourist) hotspot! 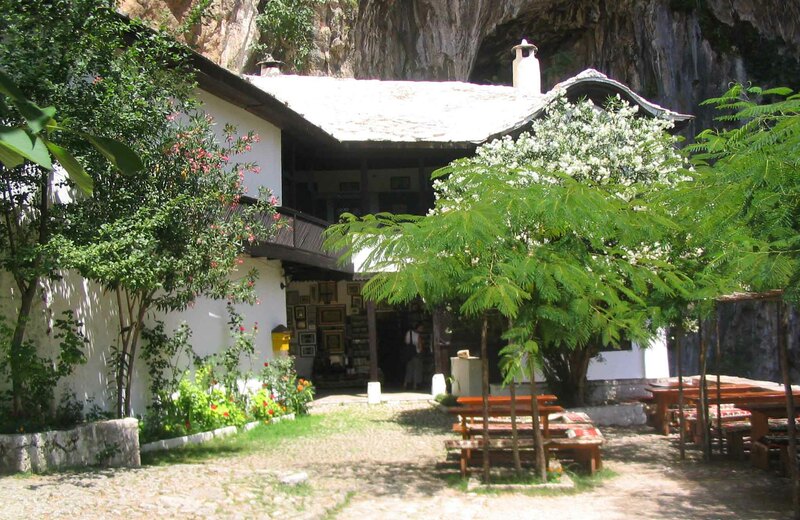 I also took a beautiful day trip to Blagaj to see the Blagaj Monastery, by the location where the Buna River springs forth from the rocks (and cliff face). Not terribly interesting, but very beautiful and highly photogenic. The bus ride there and back went through a number of towns which still bore the wounds of war. 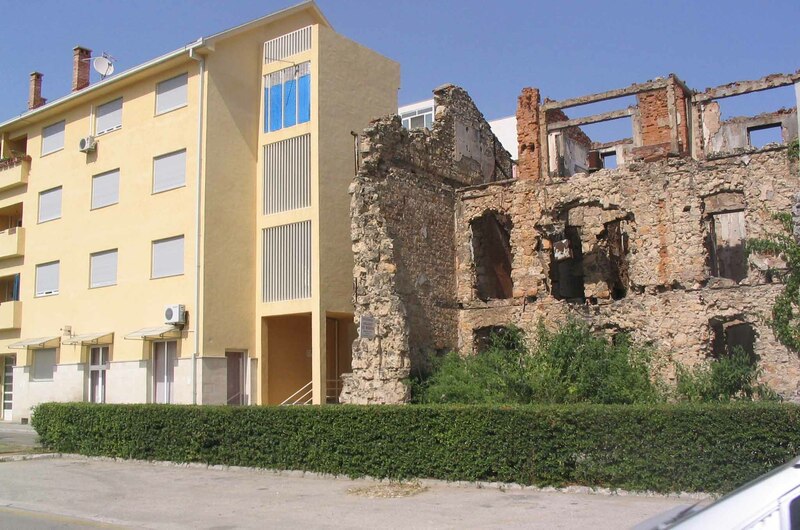 As for Mostar, I’m sure today it has better tourist infrastructure and better eats. A town found in 1452AD, it’s seen many different rulers from the Ottomans to Yugoslavia and Tito. Today it’s a very pretty town to visit which makes a great base to see the surrounding sites. Oh, and it has a special bridge! Thanks for reading, and May the Journey Never End!